Next Team Supersnack Cracks the Top 5! 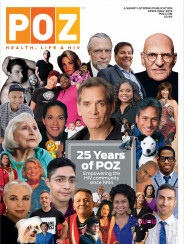 When Gwenn and I did that internet radio interview with Poz I Am last month a young positoid named Nina Martinez called in. Nina is an educator and, like me, found out she was positive as a kid. She lives in Atlanta, and somehow Dragon*Con came up during the conversation. I made a joke about making Dragon*Condoms to hand out at the conference. It’s a good hike, I figured we could give out a few condoms along the way. My friend, Katie, carried the box and I grabbed a Bella Morte sign, calling out, “Get your Dragon*Condoms!” and telling people the band was about to play. Now, I don’t do a lot of condom hand-outs to strangers, but I was surprised by the positive response. People loved the design, as well as the opportunity to get free condoms. “Can I take one for my friend? She’d love this!” By the time Bella Morte went into their first song, my inner geek, as well as my inner educator, had been satiated. The next day, I met Nina for coffee and as it turned out we had more than our HIV status in common. She, too, is a geek, and had spent her Saturday morning at the Con marching in the Dragon*Con Parade as part of the Periodic Table of Elements. She was platinum or, more creatively, “Platinum Blonde”. Here we are enjoying a Decker’s Daily together. Nina wouldn’t let me sponsor her for all the hard work in putting those condoms together. "It’s Decker’s Daily," she argued. Someone start Nina’s Daily, she’s earned it. In so many ways Dragon*Con was a success. I didn’t expect HIV advocacy to follow me to Atlanta, and missed out on the National HIV Prevention conference that had just happened. But thanks to Nina, I got to show folks that, no matter what you are dressed up or who you are pretending to be for the weekend, the condom is best addition to any outfit. And keeping people dressed up as the dead- and not threatening their own lives with unsafe behavior, is a reality we can all live with.